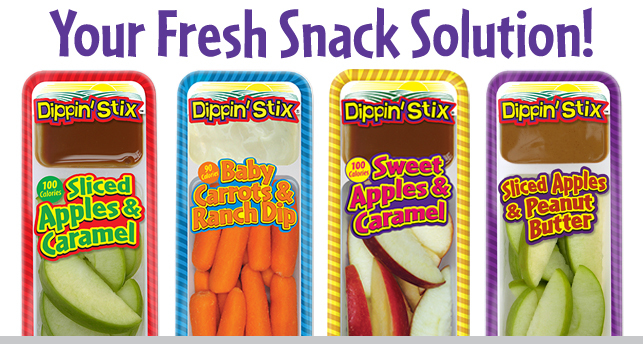 Dippin' Stix products are an award winning fresh snack solution that anyone, at any age, can enjoy. Use them for lunch, traveling, school, sporting events or for a convenient snack on the go. These single serve fruit & dip and vegetable & dip snacks appeal to both parents and kids with excellent quality and superior taste. Our products use premium dips, peeled baby carrots, fresh-sliced apples and crisp celery sticks. Healthy Snack, Full of Nutrients! Longest Shelf Life in the Industry! Reichel Foods has been the innovative leader in its category since 1997. 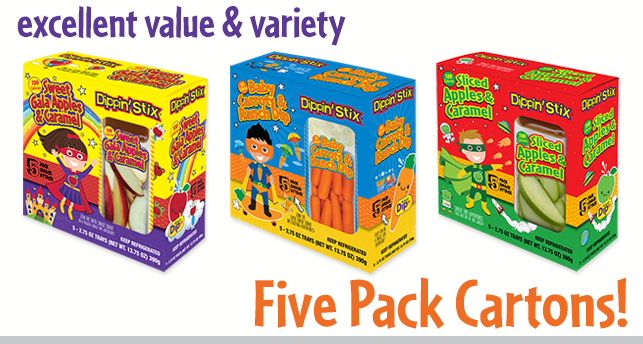 Our products pair premium dips with baby carrots, fresh-sliced apples and celery sticks. 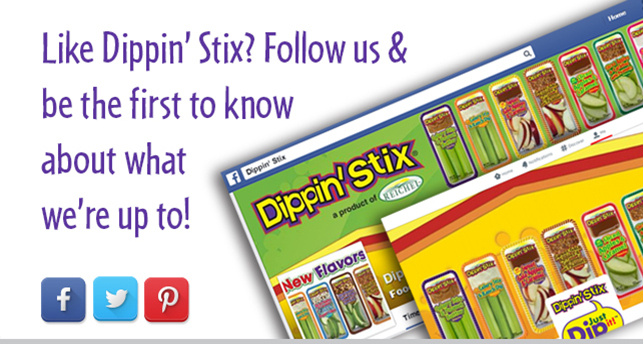 Find a Dippin' Stix Retailer Near You! "These things are awesome...they are great for the kids' snacks, as well as I bring them to work for a snack too...Not only healthy, but delicious!"